Today’s guest page is a wonderful play on Peter Pan. 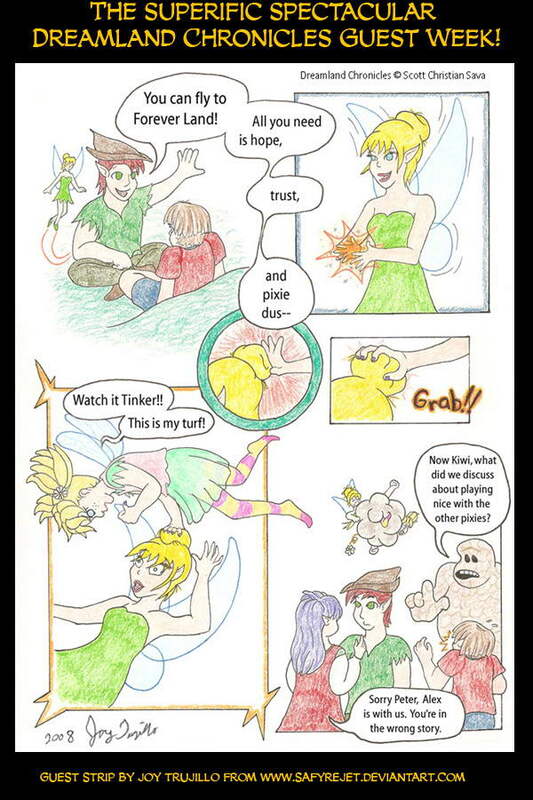 TOTALLY how Kiwi would feel if another fairy was “muscling in” on her Alex! Thank you so much Joy for this fabulous page! I adore it! Go to Joy’s DA page and say hi…fav her…and tell her thanks. Bwahahahah! loooove it. Tink’s been needing a take down of that magnitude for yeeeears. Go Kiwi, Go! Simple + cute + funny = Perfect! LOL! Very imaginative! I would never have thought of this! i can’t see the comic i only see the text below!